Happy Easter to you and your family also, Eve. Having been engaged (in my youth) to a Russian Orthodox and as there is no Russian Orthodox church in this town, I studied and attended the Greek Orthodox religion, but my favorite part was always their festivals and the food. I shall try the spinach because I always loved that, but there's no way my son would let me cook the lamb. He always does that whether at Easter or other times. Our traditional southern Easter meal includes baked ham, potato salad, green bean casserole,and lots of other things. What about the rest of you SSers? What does your family eat at Easter? And I thought Catholics had it tough! We only do the meat abstinence on Lenten Fridays and fast on Ash Weds. and Good Friday. Sounds like we're running a country club compared to our Orthodox brethren. Your recipes look great, Eve! We're lambers here, too. We're celebrating with our daughter, Bridgid, this year, so I'm not sure what's on the menu. When we first lived on a ranch in rural northwestern Nebraska, I decided to make spanakopita one year. So I went to Chadron to buy filo dough. There wasn't any, nor had anyone in any grocery store ever heard of it. So we went to the bigger city of Scottsbluff. Ditto. Alliance? Nope. I still remember standing in the frozen foods section of the Alliance Safeway trying to explain to the store manager WHAT filo dough was ... and giving up! I wasn't mad at all, but I sure remembered the days when "ethic" foods were highly regional, which I had forgotten. Remember when you could only get a taco or burrito in the Southwestern states? And spaghetti in cities with Italian communities? I had literally forgotten. It was fund to think about all this again, and smile over the ways food defines not only our families, but reflects the places we live. 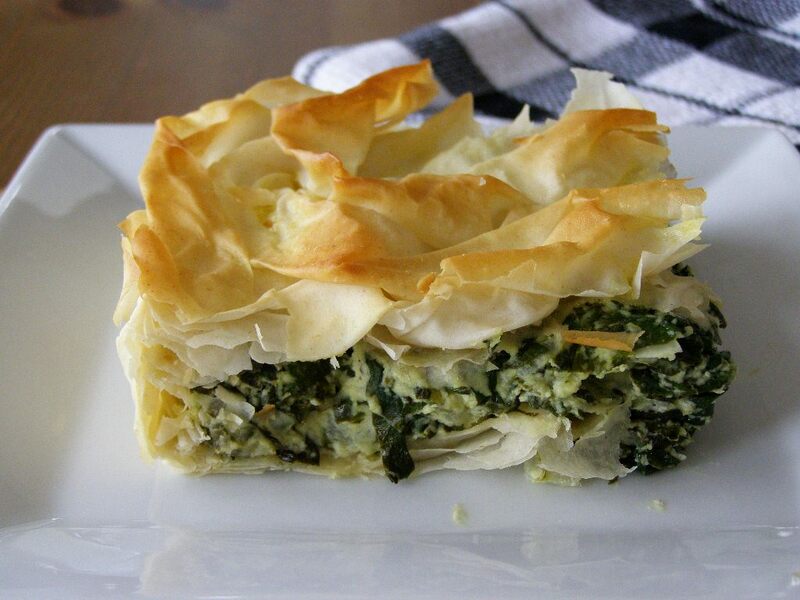 Ooooo, spanakopita and tyropita (σπανακόπιτα and τυρóπιτα– I spotted the Greek spellings when I looked up how to spell tyropita), I love them! And I’m convinced moussaka is the only good use of eggplant. Can you handle an extra adult? Or near-adult? Thanks for the great recipes. I've been looking for a way to cook lamb for the family.